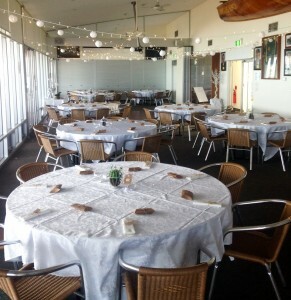 The Brian Wright Room is located on the first level of the club with wonderful beach and ocean views with a balcony, bar facilities and tables and chairs for up to 80 to 120 seated guests depending upon function layout. The room is available for hire for Social and Corporate events on any day or night except Friday nights as we are open to the public for Public Meals from 6pm. To see booking availability, check out the Club Calendar to see any previously booked functions. Available for Wedding Receptions, Engagements, Birthday Parties, Corporate and Conference functions. -deposit of $250 is required to secure your booking and this is payable once room availability is confirmed. The balance of the hiring fee and any additional costs must be paid 14 days prior to your event/function. -If function has more than 80 guests an extra bar staff member is required at the cost of hire. -A cleaning fee of $88.00 applies. -Drinks are supplied at Club Bar prices and are served by Club RSA bar staff. -The bar can supply drinks through drink packages, a tab or can be purchase as you go. No BYO allowed as per liquor licence conditions. -You can bring your own food or we can refer you to some excellent local chefs. Please click here to download a copy of our Functions Brochure. 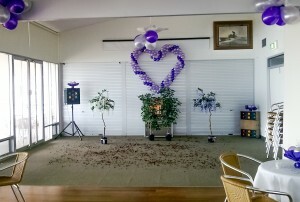 Financial Christies Beach SLSC Members will receive discount on Room hire. Please contact Club Office to confirm hire fees and conditions. 18th or 21st Birthday parties are available by negotiation. The room booking terms, conditions and costs are outlined in the agreement and are enclosed within the booking application form. This will be provided upon inquiry. 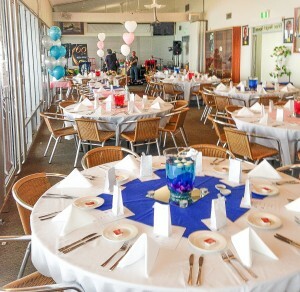 We are a volunteer organisation and all our bookings support our surf club to support the community. Audio and Video facilities on Projector screen, an internal PA systems & speakers, DVD/CD player with USB and inputs suitable for a wide range of audio input devices eg PC laptop, iPads, iPhone, iPod. Catering can be arranged or you may self cater. Coffee / Tea & Water available at an extra cost. Please email president.cbslsc@gmail.com or through the contact form below.